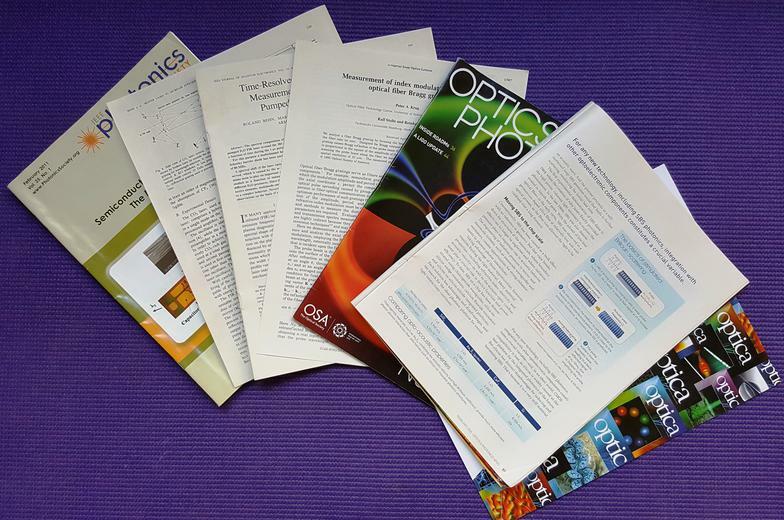 High impact scientific and technical journals are published in English. Major international conferences are conducted in English. These facts often disadvantage researchers whose native language is not English. Non-native English speakers often experience delays, requests for major revision or rejection when they submit their manuscripts for publication and presentation. Krug Scientific works with academics, scientists, engineers and technologists to prepare research manuscripts for publication in high-impact journals and at international conferences. Other English editing services are only able to correct the language. Krug Scientific's services are unique: Our experience in optics and photonics, general physics and technology and in writing for research publications allows us to also undertake a detailed expert review of the scientific and technical content before you send your paper to a journal or conference. Krug Scientific's clients benefit from the unique combination of technical content review and premium language editing, with the result that their manuscripts have been accepted for rapid publication in influential journals and conferences. Indicative prices for a 3,000 to 4,000 word manuscript are US$ 400 for premium language editing alone, and US$ 640 for premium language editing plus detailed technical content review. Krug Scientific is currently offering new clients a discount of 10% off the regular price of our publication services: Send us a manuscript and we will send you a quote to edit the text for clear, well-expressed English and, if desired, a detailed technical review. Reviewing and advising on English grammar, spelling, style, expression and punctuation. Reviewing and advising on specialist technical content. Currently, we are able to provide detailed reviews of technical content in optics, photonics, optical communications, optical remote sensing and many other areas of physics. 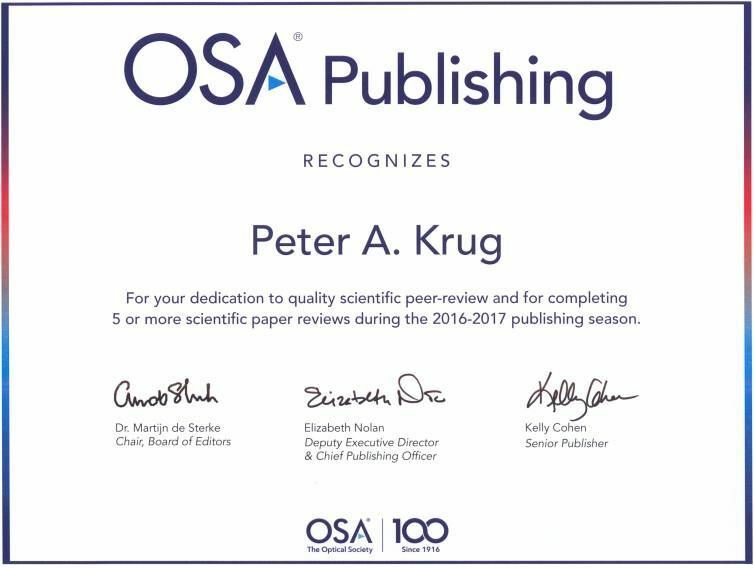 In November 2017 Dr Peter Krug delivered lectures on Writing Great Research Articles for High-Impact Publication to researchers and research students at South China Normal University and Jinan University in Guangzhou, Northwest University in Xi'an and Shanghai University. 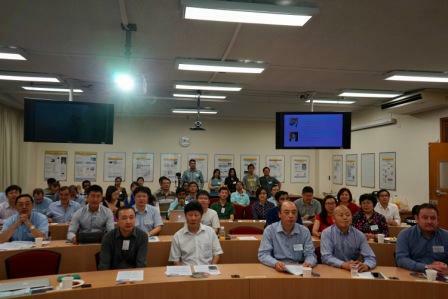 Click here to read about Peter's lecture on the website of the Institute of Photonics Technology at Jinan University (in Chinese). Please contact Peter at Krug Scientific by e-mail or telephone to discuss your requirements. How we help you publish your work in high impact-factor journals and at leading international conferences.